In a room with five people, six griefs. Some you will hear of, some not. Let the room hold them, their fears, their anger. Let there be walls and windows, a ceiling. 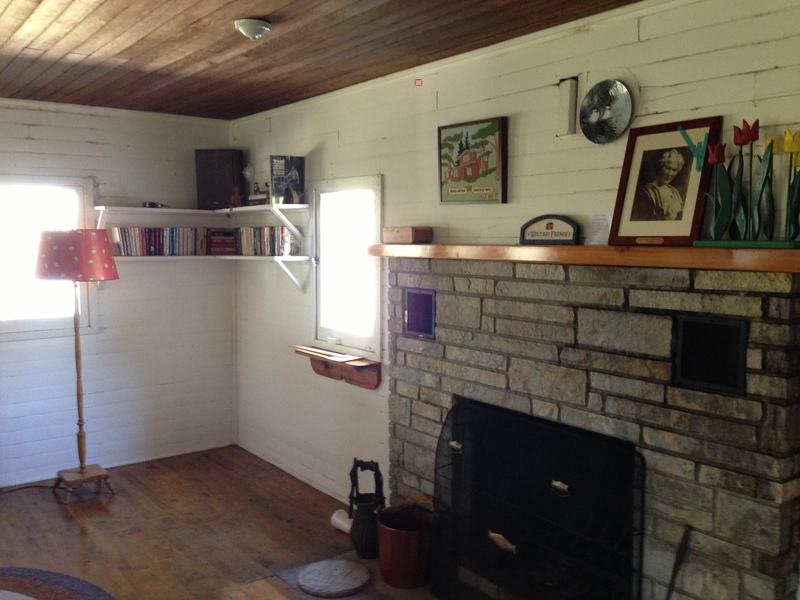 A poem elf couldn’t ask for a better invitation: a tour of Ernest Hemingway’s mother’s cottage on Walloon Lake in northern Michigan, and free reign to leave behind and photograph whatever poem I wanted. As usual, I chose a poem from a small selection I always keep on hand, and also as usual, the choice bordered on random but landed in serendipitous. 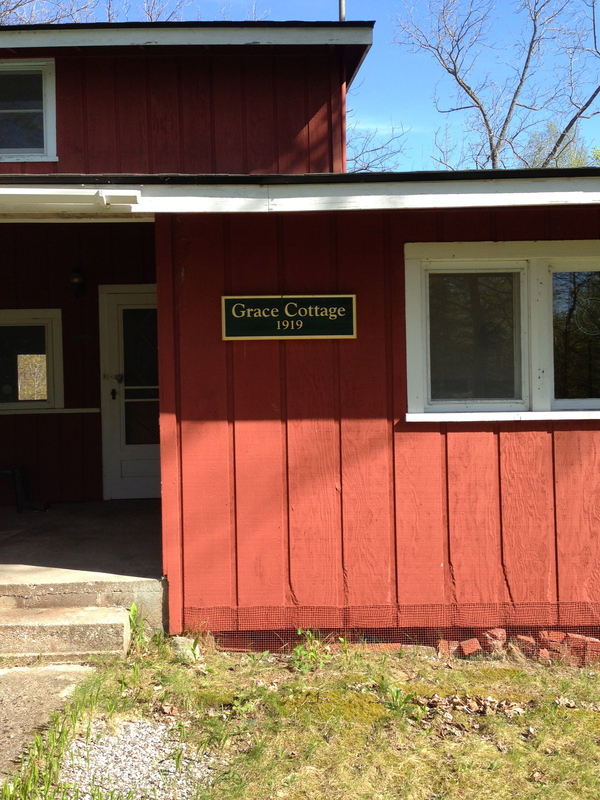 More on that later, but first a short history of Grace Cottage. In 1905, the Hemingway family bought Longfield Farm, a 40-acre property across the lake from the more famous Hemingway Walloon property, Windemere (now a Registered National Historic Landmark). Grace Hall Hemingway, Hemingway’s mother, had built Windemere in 1899 with money from an inheritance. As a teenager, Ernest Hemingway helped on Longfield Farm during summer vacations, working the orchards, fields, and ice house. He often camped in the surrounding woods, probably enjoying a break from his large family and his parents’ strict rules. Grace, too, liked to get away from the family. 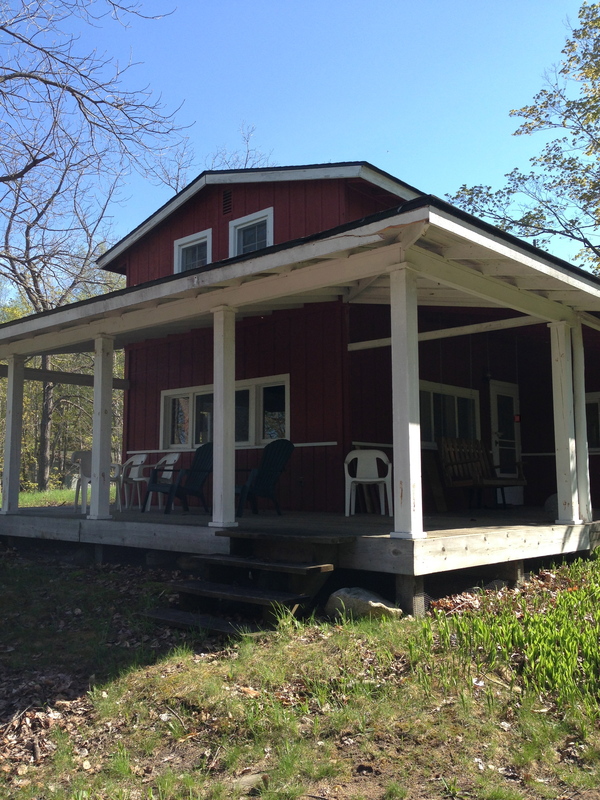 In 1919, against the objections of her husband, Dr. Clarence Hemingway, she built Grace Cottage on the farm. I’m guessing Clarence’s objections had more to do with money (he would later commit suicide following financial and health problems) than with the fact that she would be spending her summers a boat-ride away from her six children. He knew she would not be neglecting her parental duties. Because she didn’t have parental duties. Okay, she read to the children and took care of their cultural education (no small contribution, considering the result), but Clarence made the children breakfast (and brought Grace breakfast in bed), grocery-shopped, managed the household staff, and taught the kids to hunt, fish and identify plants. The doctor was devoted to humane science and to the solving of practical problems. Both considered themselves professionals and each respected the other. They were way ahead of their time in this respect. My mother’s involvement in music and art was not a hobby. It was her full-time preoccupation and my father admired her work. 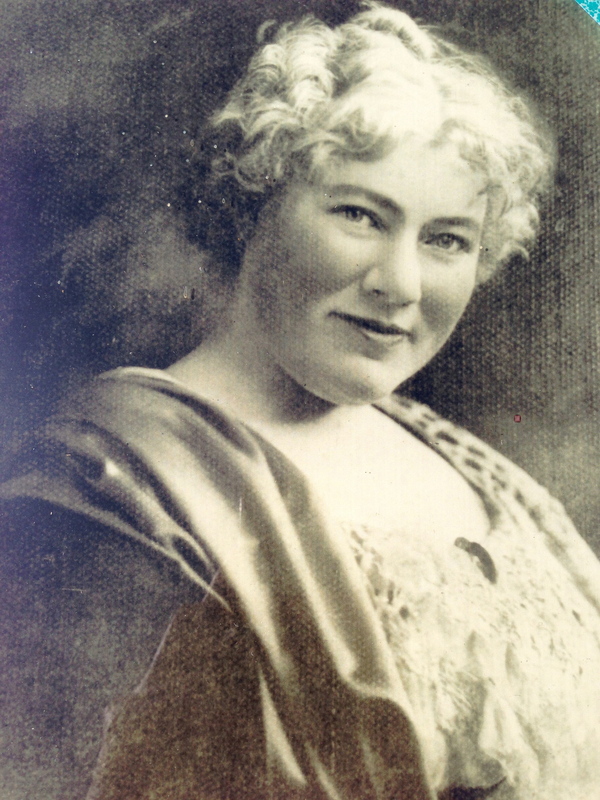 Grace was a trained opera singer who once sang at Madison Square Garden. (Strange fact: while studying voice in New York, she became friends with an aspiring illustrator, Maud Humphrey, who gave birth to a son—Humphrey Bogart—the same year that Grace gave birth to Ernest. The women remained friends, and years later Humphrey Bogart starred in To Have and Have Not, a film based on Hemingway’s book of the same name.) After Grace abandoned her stage career to marry Clarence, she continued to make a living through her music: she gave lessons, performed at local recitals, directed a church choir, and composed and published music. In her fifties she took up painting. She was good enough to have exhibited at the 1933 Chicago World’s Fair and to hold thirty solo shows. (You can see some of her paintings here.). I had always thought Grace Cottage was the place Hemingway spent his honeymoon with Hadley Richardson, the first of his four wives, but I was wrong. The only honeymoon time he and Hadley spent at Grace Cottage was when they pushed off from the cottage shoreline to row across the lake for two weeks at Windemere. But Grace Cottage does have a place in his honeymoon history. The year before he got married, Grace and Ernest had a blow-out fight known as “The Incident.” Grace saw her son as a disrespectful, drunken, womanizing loafer (she wanted him to go to college) and when she tracked him down at 3 a.m. one morning, she kicked him out of the house. So her offer of Windemere for Ernest’s honeymoon shows a softening towards him–especially since Clarence had to move in with her at Grace Cottage for those two weeks, the one and only time he would stay there. Outside that rapprochement, Grace and Ernest had a harrowing relationship the rest of their lives. And outside of the Walloon summers, the Hemingway family had harrowing experiences over generations. Their penchant for tragedy rivals the Kennedys’. 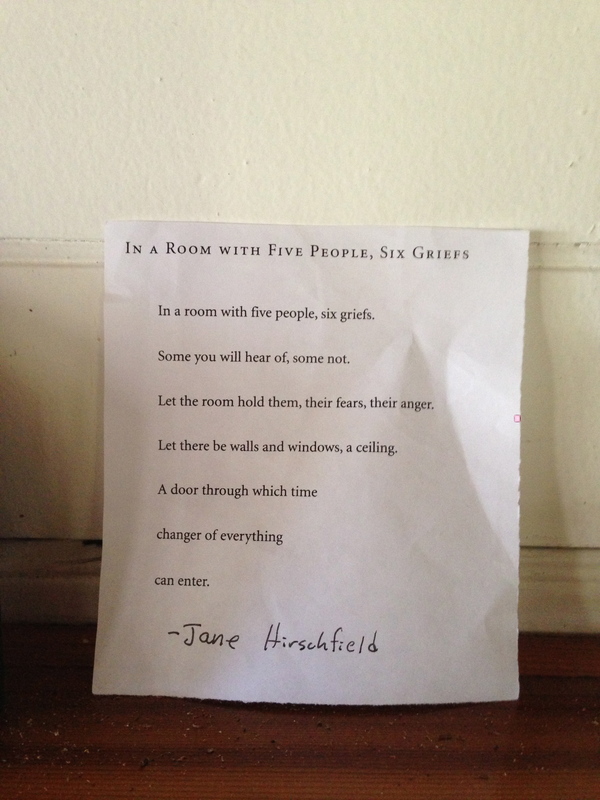 If poet Jane Hirshfield had written “In a Room With Five People, Six Griefs” specifically for the Hemingways, she might well have titled it, “In a Family of Five Generations, Six Suicides.” Here’s the sad list of their losses: Hemingway’s paternal grandfather, his father, two of his siblings, himself, and his granddaughter. His maternal grandfather attempted suicide but was foiled. I was glad to leave Hirshfield’s poem on the mantle of Grace Cottage. It was a mark, it seemed to me, of the peace that’s settled over the cottage, and I hope over the present generation of Hemingways, some of who still live over at Windemere. The wood floors creaked, the upstairs rooms were airless and stifling, spiders had the run of the place, but still the cottage struck me as a delightful place, like a Goldilocks house, just the right size for the artistic endeavors and dreams it once housed. If time, changer of everything, had entered through the cottage door, grief had walked out long ago. Not to get too poetic about it. Now on to the poem itself. Some have more boxes than others. (The poem’s second line—Some you will know of, some not—would be a good antidote when we feel disgust towards other people’s foibles and faults.) The uneven distribution of griefs creates a tension in the room where the poet, the creator, has placed her five characters. But even as the poet boxes her characters in and loads them with trouble, she configures a door, an opening for change, for an easing of fears, anger, and grief. The tension in the poem and in the room is drained by the simple sentences, the clarity of language, and the patient, careful whittling down of lines to the final phrase, can enter. The poem has an appealing spirit, a calming wisdom. There’s an acceptance of pain, an understanding that all things pass, and a pleasure in the act of creating. Not for nothing does Hirshfield use the language of Genesis: Let there be a door. And there was a door. God knows she had her griefs, or caused them. But she had her joys as well, and that is what I found on my visit to her cottage. You can read about poet Jane Hirshfield here, from a previous post.